The 36" Arlington Single Vanity presents solid craftsmanship with a beautiful modern design for a vanity that will truly redesign your bathroom. The Arlington features a solid oak cabinet finished in a deep Espresso and topped with a Carrara White Marble top and porcelain sink. 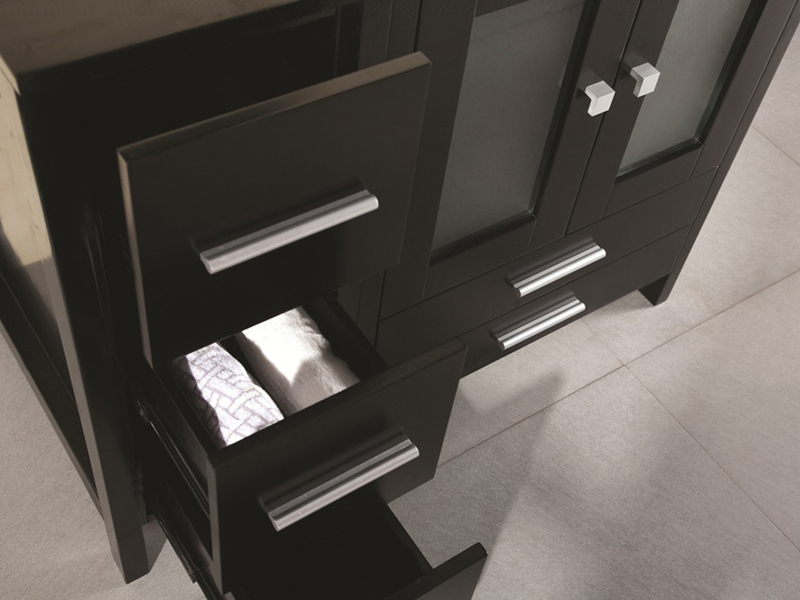 The cabinet offers a double-door cabinet with glass insert accented doors and 5 pull-out drawers. 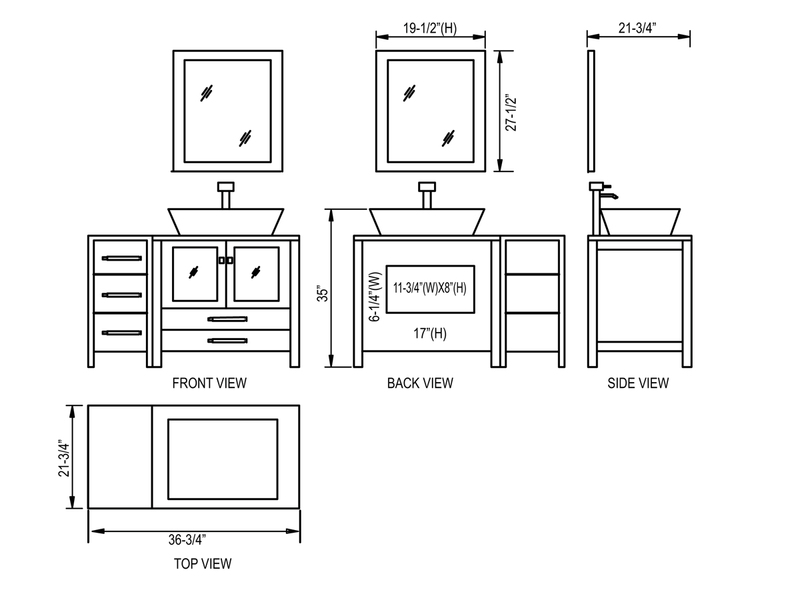 A mirror is included with this vanity.